Kevin Corr is focused on helping others one step – even one stair step – at a time. 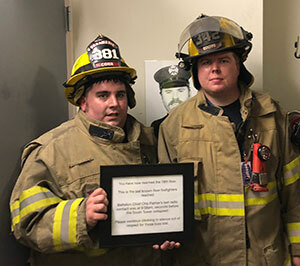 For the past eight years, Corr has been among the 343 local firefighters who suit up in full uniform on Sept. 11 to climb 110 stairs to the top of the Town Pavilion building in downtown Kansas City. 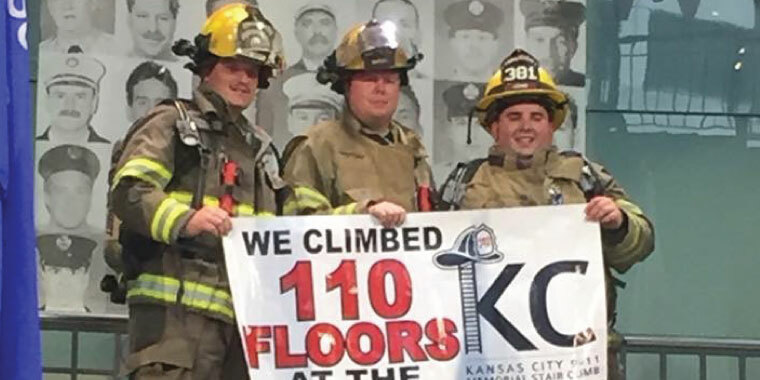 The Kansas City 9-11 Memorial Stair Climb is an event that honors the New York firefighters who died on Sept. 11, 2001. “It’s a great event. It’s a very humbling event,” Corr said. 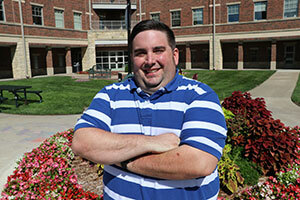 Trained as a firefighter and a paramedic, Corr is enrolled in KCU's College of Biosciences with the goal of continuing on to KCU’s College of Osteopathic Medicine. Corr felt a connection with osteopathic medicine through his grandfather who became a DO in California in the 1960s. He became familiar with KCU while working as a firefighter and a paramedic at Station 10, across the street from the Kansas City campus. Corr heard about the 9-11 Memorial Stair Climb through fellow firefighters and decided to participate. Money raised goes to S.A.F.E. – Surviving Spouse and Family Endowment Fund – which provides financial support to spouses and children of emergency responders who died in the line of duty. Each person who suits up and makes the climb to the top of Town Pavilion is assigned the name of a firefighter who died on 9/11. Corr has climbed each year for the same person; a man who moved from Haiti to the New York City where he became a firefighter. “For me, it’s a memory of somebody who literally had nothing, came to this country, and served his community,” Corr added. Just like climbing 110 flights of stairs in full uniform, the work load of a full-time student can be challenging. But Corr is not complaining. He’s grateful to be able to help the family members of the men and women who sacrificed their lives to help others. He looks forward to going into medicine where he hopes to have a greater impact on the health of others. “As a paramedic, I have one ambulance that I’m in charge of. As a physician, I can start to mold what an entire service is doing versus just what I am doing,” Corr said.